Starting Small with Health Literacy to Build Big Successes! Please welcome Mandy Bass, Peirce Elementary School’s school nurse who has great ideas on how to teach kids about healthy habits that will last a lifetime! Even very young children need to understand health messages that help them lead healthier lives! As a Mom and a School Nurse, I understand parents are our first teachers regarding health literacy. Habits around eating, sleeping, activity, how we process our emotions and stress, and many other health and safety behaviors are formed when we are very young. These habits can be changed but it’s easier to create healthy habits from the start. That’s a loaded statement because kids learn from their parent’s examples, and for my kids to have healthy habits means I need to change some of those die-hard bad habits I have made over the years. All of us have our share of indulgences- some easier to talk about than others. I had to hide the Nutella at our house so the kids and I would stop eating the whole jar in one sitting. But of course, I always knew where it was hidden- until I decided to get it out of the house. I hate to say it, but it took months for me to realize Nutella just couldn’t reside on our pantry shelf, or hidden in the basement closet! We still have Nutella for a treat now and then, but not on a regular basis. How do we help our kids be that much healthier? One way is to just tackle one small thing, cut yourself some slack when you don’t follow through all the time, and celebrate those individual successes. At our elementary school, we tackle one small area a year. Led by our student council, we had “Healthy Snack Month” January 2012, which ended with the challenge to students to try a new fruit or vegetable. Students tried anything from green beans to dragon fruit; many said they would incorporate that new food into their weekly snack repertoire. Again, spearheaded by our student council, last year we had “Walk to School Every Day for a Week” to supplement the already successful “Walk to School” program led by parent volunteers. These are small things that can easily be replicated. What better time than now, after the New Year’s resolutions are made, broken, or kept; when we are looking out the window at the snow, wondering how we can re-invigorate ourselves and our families for the rest of winter? Best to come up with something that will be fun for everyone, or at least rewarding. WellCoin is an app that promotes healthy lifestyles, free for Newton residents, a great resource to join and get ideas from, and a way to track those healthy habits- many of which you already have! 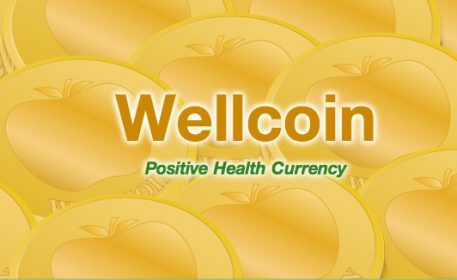 Families can count their virtual coins, go shopping with them in real stores that participate in the program, live the healthy life, and learn about health literacy.